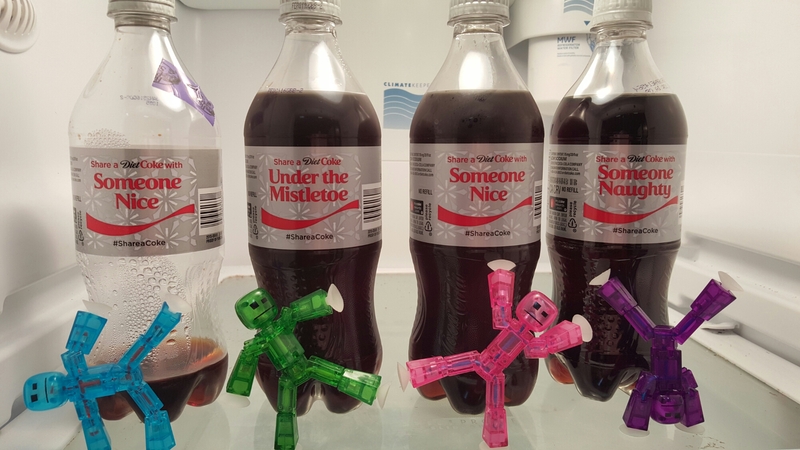 The Traverse Family traveled all the way to the refrigerator and found some Diet Coke. With most of the Diet Coke gone, is Indi really simeine nice? And, Beryl is going to think twice about standing near a “mistletoe” bottle again.